 Mills, myths and the fine art of fly-fishing. A piece of angling history: imposing Bossington Mill at Houghton in Hampshire, comes with 244m of singlebank fishing on the Test. £2.4m. 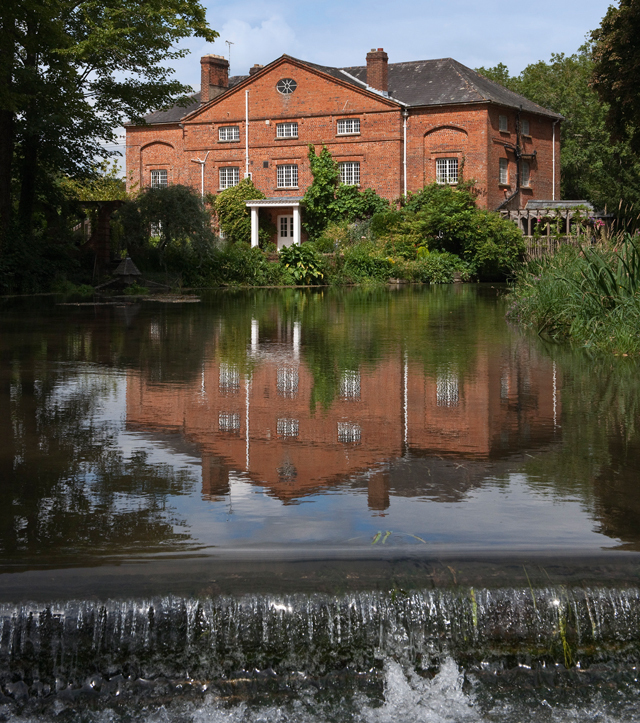 According to to Ed Lucas of agents Strutt & Parker (020– 7629 7282), who have relaunched imposing, Grade II-listed Bossington Mill at Houghton, Hampshire, on the market at a guide price of £2.4 million, the question most frequently asked by potential purchasers of converted watermills is ‘does it flood?’ A well-maintained mill house should never flood, and certainly not Bossington Mill, given its idyllic location in the Test Valley, where broad water meadows on either side of the river allow floodwaters to disperse naturally. Historically, the local mill was an essential element of the rural economy and, consequently, the site was carefully chosen, its building designed to support heavy machinery and anything that wind and water could throw at it and the flow of the river was regulated by a system of sluice gates. A mill at Houghton was one of more than 5,000 listed in domesday and as many as 30,000 watermills were still active in the mid 19th century (Country Life, January 21, 2015). However, the popular image of the jolly miller, industriously grinding corn to feed the local tenantry and its animals, may be something of a rural myth. Mills provided a substantial source of income for owners of landed estates. Tenants were obliged to take their crops to their landlord’s mill at harvest time and were invariably disappointed at the measly few bags of grain returned by the miller. Matters came to a head at Houghton Mill, as it was then called, when arsonists set fire to the building during the night of February 9, 1768. The mill building was replaced a few years later by the present, 6,140sq ft Georgian edifice, but rural unrest flared again in 1830, when agricultural work- ers, desperate for better wages and regular employment, attacked the threshing machines they believed had displaced them and burned down hayricks, barns and other farm buildings. On November 17 that year, rioters marched on Houghton Mill, where they were apparently placated with drinks by the miller, before moving on to Bossington House, the seat of the local landowner, where they smashed the windows. The interior of Bossington Mill at Houghton in Hampshire. £2.4m. In 1937, the aviation tycoon Sir Richard Fairey bought the Bossington estate to indulge his passion for fly-fishing and shooting. The mill house was renamed Bossington Mill and modified to provide electricity for the estate; it was finally converted to residential use in about 1960. Sir Richard chose this idyllic stretch of chalkstream as the ideal place in which to hone his fishing skills, for it was home to the exclusive Houghton Fishing Club, founded in 1822, which still has the rights to six famous beats along 13 miles of the river. Bossington Mill can claim part of this birthright: not only does it come with 244m (800ft) of single-bank fishing alongside that of the club, but it was here, in 1880–88, that Frederic Halford took rooms while he experimented with artificial flies in ‘the bright waters south of the mill’, eventually producing six classic books that established him as ‘the High Priest of the Dry Fly’. In 1988, David Livermore and his wife, Gina, were looking to move from near Newbury to a larger family house when they came to view Bossington Mill. Mr Livermore had no option but to sign on the dotted line when their teenage daughters took one look at the house and its setting and immediately said: ‘This is where we want to get married from.’ But the bargain wasn’t totally one-sided and it wasn’t long before he, too, succumbed to the addiction that is fly-fishing. Some 27 years and three weddings later, the family have left the nest and Mr and Mrs Livermore are looking to downsize. In the current uncertain market, it may take another coup de foudre, or several determined daughters, to tempt a new owner across the finishing line. But with ample rooms on three floors to play with—including four/five reception rooms, five/six bedrooms and four bathrooms—and almost two acres of riverside gardens colonised by kingfishers, herons, coots and a pair of nesting egrets called Eddie and Edwina, there’s still magic to be found in every quiet corner of this mill on the Test. There’s been a mill in the pretty Wiltshire village of Wylye, halfway between Salisbury and Warminster, since 1086 and a working mill was still part of Wylye manor until 1919. By 1705, the building was large enough to house two cornmills, which tenants of the manor were required to use. The machinery was incorporated in a T-shaped 17th- or early-18th- century house, which was extended north twice in the early 19th century, until, in 1872, the present red-brick mill was built, partly on the site of the earlier house. From then on, the mill was powered by turbine, and continued working until 1962; the machinery was removed a year later. 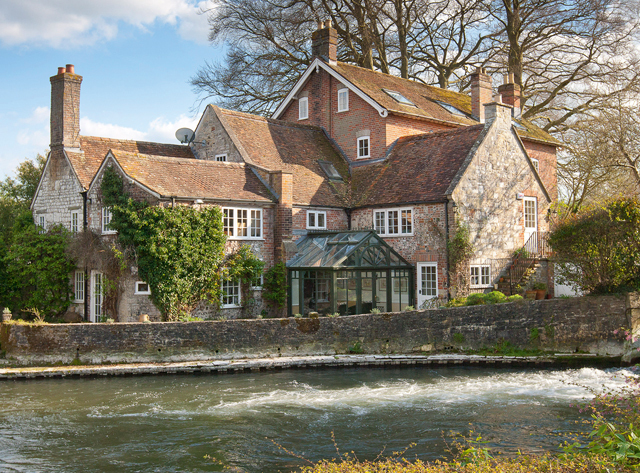 The Winchester office of Knight Frank (01962 850333) quotes a substantially reduced price of £1.5m for picturesque The Mill House on the edge of Wylye village, which has both the millstream and the River Wylye meandering through the garden to the surrounding water meadows. Impeccably maintained The Mill House sits on the edge of pretty Wylye village, in Wiltshire, and has large, bright rooms. £1.5m. 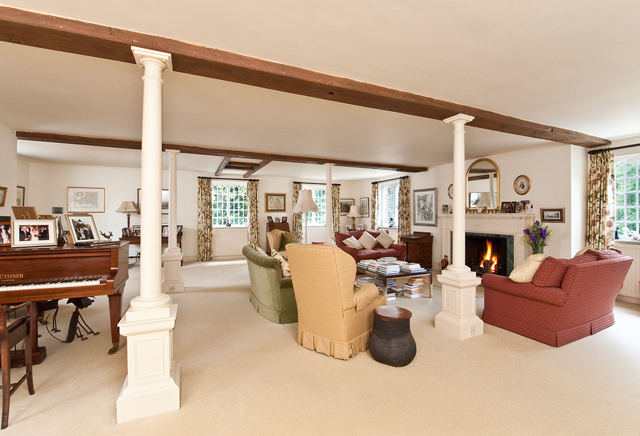 The impeccably maintained house has more than 5,000sq ft of accommodation on four floors, including a vast first-floor drawing room, linked to a library; the main bedroom suite is also located on this floor. The second floor has four further bedrooms and two bath/shower rooms, with a studio/ games room on the third floor. ‘Unusually for a mill house, there are some excellent ground-floor rooms, including an impressive entrance hall, a dining room with a conservatory, a study and a kitchen/breakfast room. Also, many converted mill houses have small, dark rooms, which is certainly not the case here’, points out selling agent Andrew Rome. Like Bossington Mill, The Mill House at Wylye has its own portfolio of myth and magic. In the middle of the river below the house stands a statue of a sea-sprite blowing a shell-like trumpet. Known as the ‘The Wylye Boy’ and mentioned in Pevsner, the statue was collected by the Earl of Pembroke on his Grand Tour in the early 18th century. He later had it fixed to the riverbed in perpetuity, as a memorial to a young postilion who saved one of the Earl’s relations from drowning when their coach overturned in a flood. William Cobbett also recalls The Mill House in his Rural Rides, published in 1830—clearly a sad year in the English countryside. He remembers ‘a very beautiful garden belonging to a rich farmer and miller. I went to see it, but, alas! Though the statues in the water and on the grass platt were still remaining, everything seemed to be in a state of perfect carelessness and neglect’. Happily, this is no longer the case.